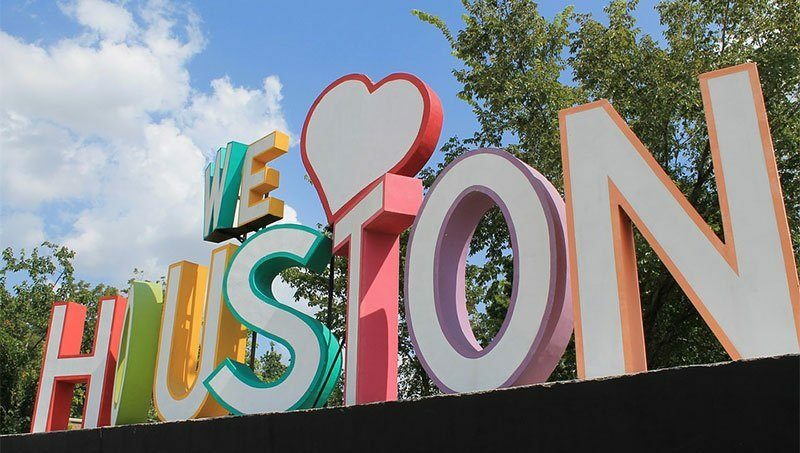 Houston, the largest city in the state of Texas and the second-largest city in the United States in terms of population, is an absolute tourist haven, with all the bells and whistles you would typically expect in such a modern metropolis. Speaking of “bells and whistles,” the city is also one of the best places in the world in which to grab a cup of coffee; a city boasting hundreds of coffee shops and cafes, ranging from large chain outlets like Starbuck’s to rustic mom and pop shops to modern computer cafes luring the thousands of students—and the studious—that call this grand city home. From the large Woodlands and Sugar Land neighborhoods to the 17-block theater district to the towering high rises of downtown, Houston has a plethora of marvelous places serving coffee and all the general fare typically found in these cafes, from sandwiches to muffins to pastries. Many of these establishments also offer a variety of local and national craft beer, effectively making these generally morning-only businesses bustling throughout the day and into the evening. In the following article we will bring to light several of the best and most fashionable coffee houses in the city of Houston. In doing so we will describe the various characteristics and amenities of each shop, and underscore the various drinks and foods that consistently draw customers to their doors. Positioned at 2018 Rusk Street in Houston, AHH Coffee is one of the newest cafes on our list and also one of the best. Currently the shop features delicious Boomtown coffee in all of its espresso and pour-over beverages, but according to the General Manager John Sanson, AHH Coffee will soon begin hosting coffee varieties from other local vendors—a tradition that has become very popular among American baristas. In addition to its great lineup of caffeinated beverages, hot and iced, AHH Coffee also makes a mean selection of tasty paninis; all made with certified cheeses from the Houston company Dairy Maids and fresh local meats. Pastries from the Kraftsman Bakery are also available at AHH Coffee, as are a terrific selection of local craft beers. A great place to stop for a quick espresso or just a regular cup of Joe, AHH Coffee delivers a great experience for a reasonable price. Located in the Neartown/Montrose region of Houston, at 1018 Westheimer Road, Blacksmith Coffee is becoming very well-known (and oft-visited) for its bold espresso drinks and its wide selection of coffee beverages and beans, particularly their very own Vahlrona Mocha. A small place in comparison to some of the other cafes on our list, the coffee shop is cozy and welcoming, with comfy seating and free Wi-Fi available for all paying customers. The food menu at Blacksmith Coffee is admittedly limited, but what they do have is unique and delicious, such as their Vietnamese steak and eggs and their biscuits that are made on site. The baristas are very friendly and always happy to answer any questions you may have, and the servers are bubbly and chatty. All in all, a great place in which to begin your day. In a homely and comfortable space that was once home to a Seattle Best coffee shop, Al Vetro seems to become more popular by the day. This can largely be attributed to its great selection of caffeinated beverages that will truly give a jolt to your morning system—beverages that include piping hot cappuccinos, frothy lattes, sweet mochas and macchiato and much, much more. The café is located on the second floor of the Methodist Hospital Scurlock Tower—a coveted location for a coffee shop given the long hours worked by doctors and nurses. Espresso is definitely the most popular order at Al Vetro—a coffee shop that believes in the Italian way of making coffee—but this gem of a café also cranks out its fair share of pour-over drinks, iced teas and coffees, and seasonal drinks like its Peppermint Mochas and Pumpkin Lattes. Like the Blacksmith, the Fix Coffee Bar is also located on the very lengthy Westheimer Road in Houston, giving this street of wealth of caffeinated goodness. Here thirsty commuters and students can sip on the café’s special Nitro coffee while chowing down on one of the many pastries offered from the company Weights and Measures, including their oft-ordered almond croissant that always leave you wanting more. The cold brews at the Fix Coffee Bar are especially popular during the summer months, and their wide selection of local craft beer and some of the domestic and imported giants is really rather impressive for a business that specializes in coffee. If you’re an out-of-town tourist exploring Houston’s very expansive Museum District, you simply must stop into Bosta for a hot cup of tastiness. Located at 1801 Binz Street, Bosta is the sister-cafe of the enormously popular Blacksmith Coffee shop, offering the same selection of caffeinated brews and smooth espressos. Acquiring the best beans possible, the quality and freshness of Bosta Coffee is simply off the charts, and their pastries from Angela’s Oven and the notable Houston pastry chef Chris Leung are not to be missed. Located just outside the Houston city limits, in a small town called Tomball, the Café Marrese demonstrates that you don’t have to live in the big city to get a great cup of coffee. Offering an extensive menu of both coffee and espresso offerings, with organic beans procured from nearby District Roasters, the Café Marrese has placed this small town on the map when it comes to coffee; a fact that the loyal locals who regularly visit this small shop will happily attest to. The Café Marrese is a cozy and inviting space, with plush leather seating an oaken coffee bar and high tables scattered throughout the establishment. Guests can sip a cup of coffee while working or socializing and order food from a quite extensive menu (for a café) crafted by Chef Ara Malekian of the Roaming Kitchen.